In his thought provoking book “Thank you For Being Late”, Thomas Friedman shares with us how our lives are deeply impacted by rapid technological changes. Change is happening so fast now we can sometimes feel we are not in control and cannot keep up. However, educational institutions are known for being notoriously slow to change. But as the world is changing, we know and take comfort in knowing that some things such as care, attention and safety are things that remain constant in our school system. While that may be true it can be confusing and even quite unsettling for us as educators as we have to prepare our students with the skills and innovative thinking they will need for the 21st century. Yet the current education system is not making the necessary changes as quickly as it should. Hawthorn Language School, an English language school in the cosmopolitan city of Singapore has been quietly working to adapt and make some necessary changes to stay relevant and meet the needs of students studying English in Singapore. Some changes we have made recently include revisions and additions to our English curriculum, implementation of free everyday pronunciation and writing workshops. Another enhancement was to our after school clubs which was getting student feedback in our planning. We wanted to provide our students with a fun place to pick up new skills and interests while at the same time have them learn cooperation and teamwork and value the importance of these skills. Also, a recent change was made to our student led pre-excursion activities. Students now get to work in groups towards a common goal, practice teamwork, and meet new friends. But are these minor changes better serving our students and teachers? Yes, we are constantly witnessing the small but incremental byproducts of having met some of our student’s needs in many positive ways. To see our students speaking with confidence, more eagerly taking ownership of their learning or collaborating and gaining interest in learning has been truly amazing. 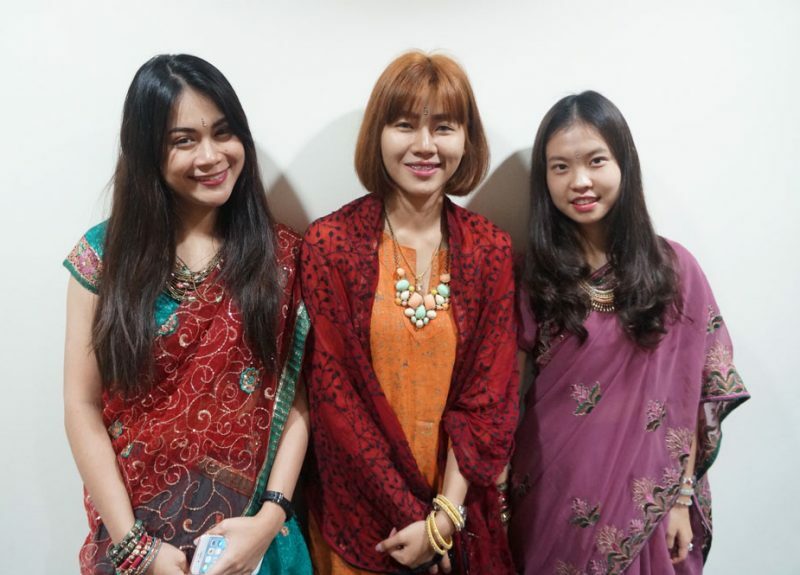 Hawthorn Language School students dressed in ethnic wear for a cultural exchange session. I am personally excited to share these opportunities with my students as it directly affects their use of the English language. These simple yet necessary changes also complement our students’ higher-level educational and career goals. At TMC’s Hawthorn Language School, change does not stop here. We are on a fascinating journey and looking ahead at how best we can educate, and prepare our students to be pro-active well-rounded exceptional thinkers and leaders. And as teachers we know quality education is tied to our students’ success. We believe that students learn best when they are connected to their life at TMC Academy and the adults who guide them. So we are continuing to implement the required changes in our thinking, lesson planning and teachings to be the cornerstone of their education without compromising the discipline and structure our students need.